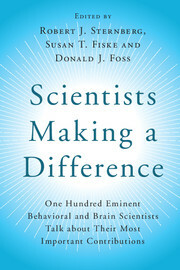 Scientists Making a Difference is a fascinating collection of first-person narratives from the top psychological scientists of the modern era. 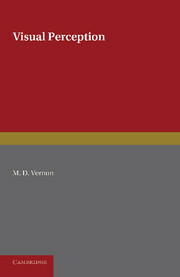 These readable essays highlight the most important contributions to theory and research in psychological science, show how the greatest psychological scientists formulate and think about their work, and illustrate how their ideas develop over time. In particular, the authors address what they consider their most important scientific contribution, how they got the idea, how the idea matters for the world beyond academic psychology, and what they would like to see as the next steps in research. The contributors, who were chosen from an objectively compiled list of the most eminent psychological scientists, provide a broad range of insightful perspectives. This book is essential reading for students, researchers and professionals interested in learning about the development of the biggest ideas in modern psychological science, described firsthand by the scientists themselves. "In 100 autobiographical essays, psychology’s preeminent contributors reveal the roots and fruits of their famed contributions. Here are stories for posterity, from the funding barriers that challenged Thomas Bouchard’s study of reared-apart twins, to Michael Gazzaniga’s exhilaration on discovering the wonders of human split-brains, to Carol Dweck’s 'me-search' on how she and others could find a thriving mindset when facing obstacles. This is living history - and a great read for both psychological scientists and students." 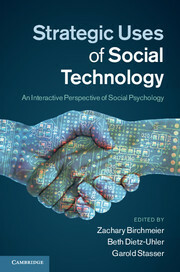 "Reading this book is like spending an afternoon chatting with some of psychology’s most prominent scholars. They talk about the significance of their work, describe how they honed their creative ideas, and offer advice for dealing with failures, adversity, and success. The authors invite us inside their laboratories and provide a rare insight into the process of making a difference." "Asking a couple "How did you two meet?" inevitably elicits an interesting story, and this is essentially what the editors of this volume have done by asking a group of eminent psychological scientists to talk about their love affairs with their work. The result is a set of brief but fascinating stories that not only inspire admiration of these brilliant authors but will surely lead some of today’s best students to dream of following in their footsteps." "A wonderful book and an instant classic. In this remarkable series of essays bookended by two thought-provoking summaries, 100 eminent psychological scholars offer readers an insider’s glimpse of how to achieve scientific excellence. This superb book is a powerful reminder of the value of serendipity in scientific discovery. Psychology lovers will find the often surprising insights from our field’s premier scholars invaluable, and will have a difficult time putting the book down. Great fun and highly recommended." "In engaging and highly personal essays, the most eminent psychologists of our time show the human side of their life’s work. Anyone with an interest in the influences behind the key theories and findings of the discipline will be captivated by this volume." "Surely every psychological researcher or professor will want to read this insightful book. Moreover, every student should be required to read it. Most undergraduate psychology majors and even many graduate students can name hundreds of athletes, singers, and actors, but they struggle to name any living psychologist other than their professors and "Dr Phil". It’s about time we call attention to our research rock stars!" 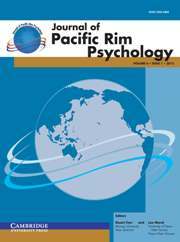 "Even beyond the Who's Who of psychological scientists represented by the authors and editors of this volume (and talk about an impossible task to begin with! ), the sum of the topics contained throughout these chapters makes the indisputable case for psychological science as the way forward in understanding so much of what is important in our world." 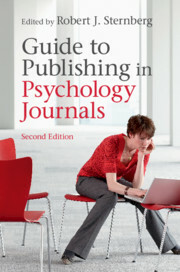 "A wonderful collection of essays from psychology’s A-listers. We quickly learn that they are engaging writers, as their stories bring their important discoveries to life. Every aspiring psychological scientist will want to read these essays, hoping to emulate at least some of the qualities that these eminent scientists share." Part VII. Clinical and Health Psychology.